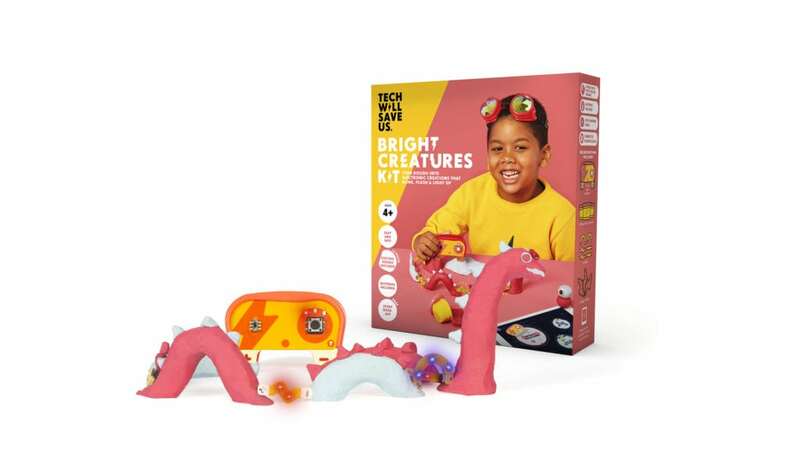 The perfect introduction to STEAM learning – Bright Creatures Kit gets kids building with dough and making simple circuits to add light to their creations. Part of the Dough Universe, the kit comes with three pots of dough, a smart controller, and LED light helpers. And with the projects and games in the interactive storybook app, they’ll be exploring and inventing for months to come!